Faye Brown, 80 years of age, became Our Gift to God on Saturday April 7, 2018 with her cherished family at her side. Mrs. Brown was God’s Gift to Us on December 2, 1937, in Williamson, West Virginia, the daughter of the late John and Emma (White) Jackson. 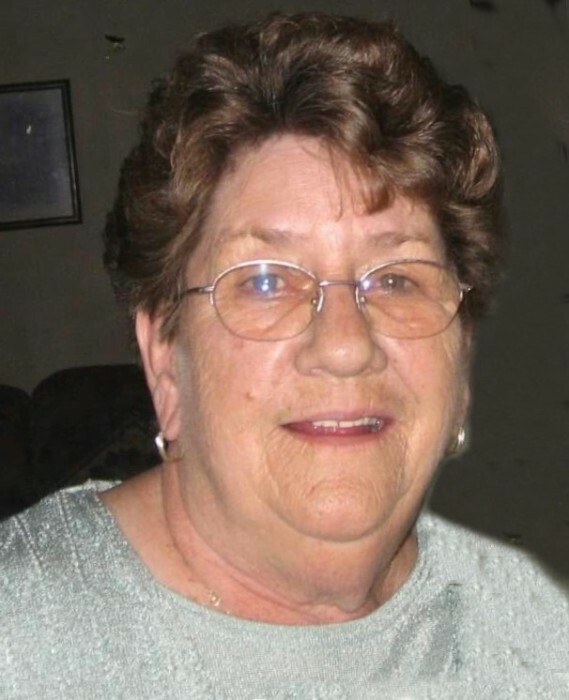 Mrs. Brown was a homemaker and a longtime resident of the Shalersville-Mantua areas. She enjoyed making quilts, and was gifted in the making of ceramics, having taught here craft to others for many years. She also was a big “Elvis” fan. Faye will forever be missed by her family whose love for them, and their love for her, especially as a grandmother, will leave lasting memories. On October 11, 1957, Faye married her beloved husband Amos D. Brown who survives at their home. Also surviving are her devoted children Mitchell (Kimberley) Brown of Deerfield, John (Tracy) Brown of Shalersville, DeeOnda (Bernard) Rothermel of Ravenna and Michelle (Melvin) Hayes of Charleston Twp. ; her dear siblings Eugene (Mizie) Jackson of Williamson, West Virginia and Angelina Robinette of Plain City, Ohio; and her loving grandchildren Megan, Justin, Maya, Matthew and Kaitlin, and great-grandchildren Bethany and Hailey. Also surviving is her special friend Catherine Byers of Garrettsville. Funeral services for Mrs. Brown will be Wednesday April 11, 2018, 1:00 P.M. at the Green Family Funeral Home & Crematory Service, 4668 Pioneer Trail at the corner of St.Rt. 44, Mantua, Ohio 44255, where calling hours will begin at 11:00 A.M. until the time of her funeral. Officiating will be Pastor Roger Walden. Final resting place will follow at Riverside Cemetery, Shalersville Township, Ohio. Condolences and memories may be viewed at www.greenfamilyfuneralhome.com.